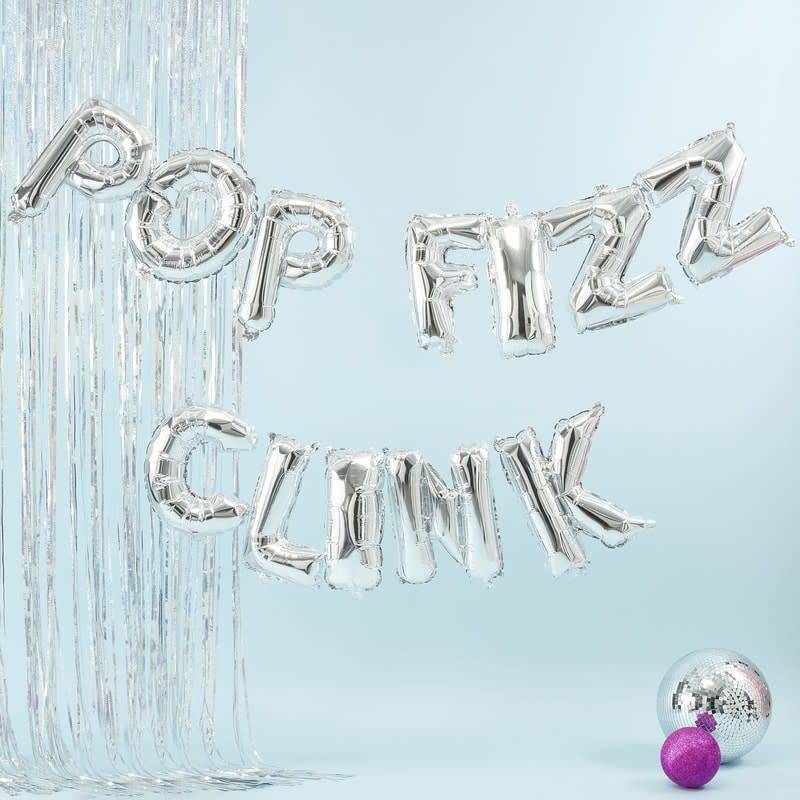 > Eye-catching Silver POP, FIZZ,CLINK Balloon bunting > Balloons measure 16"
This cute and eye-catching POP, FIZZ, CLINK Balloon Bunting is perfect for parties and any special celebrations! The silver foiled balloons shine bright and sure to be loved by all. The 16" silver foiled letters can be strung along the clear twine provided to create the stunning balloon bunting which spells POP, FIZZ, CLINK. Use the string to hang the balloons in any locations - No need for helium. 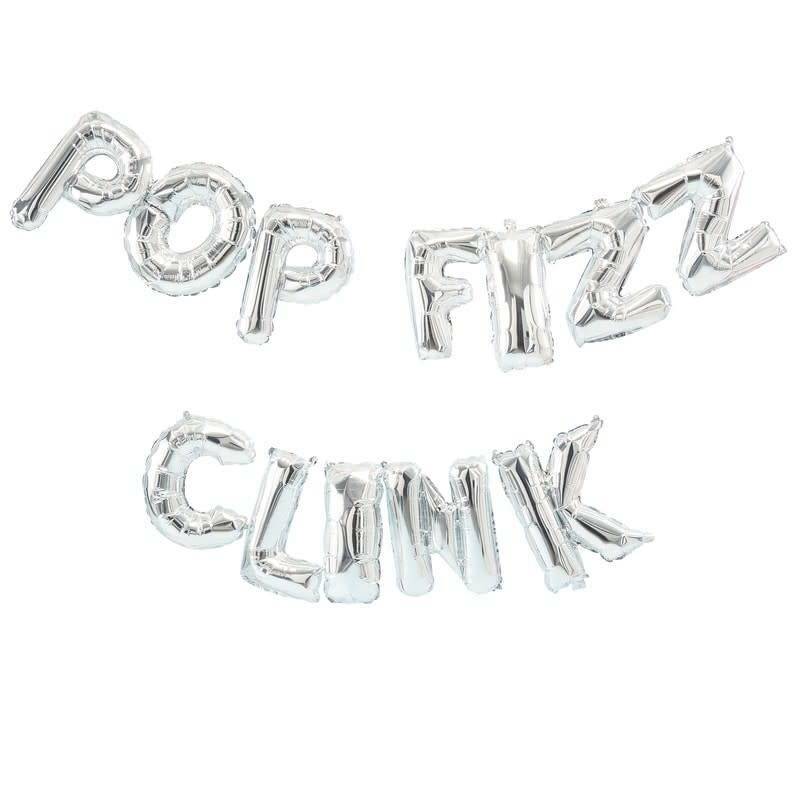 Each pack contains 12x 16" foiled balloons spelling POP, FIZZ, CLINK, and 3m length string.